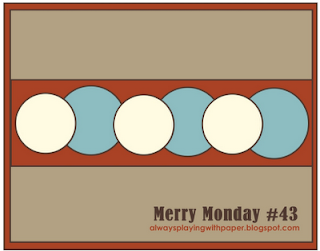 Today's card combines my 2 favorite Christmas challenges, Jingle Belles and Merry Monday. 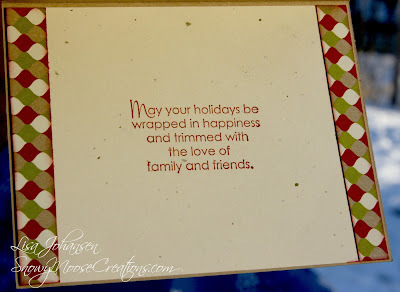 This is the last prompt of the year for BOTH of these blogs. How am I supposed to wait until the New Year for more Christmas challenges ((cries)). Lisa, love what you did with the sketch and I like you am going to have to go back and do some of the earlier sketches to get me through December as I can't imagine a full month without making a Christmas Card or two. Thanks for joining us at Merry Monday. OK, you've convinced me. I've got to order this bundle! 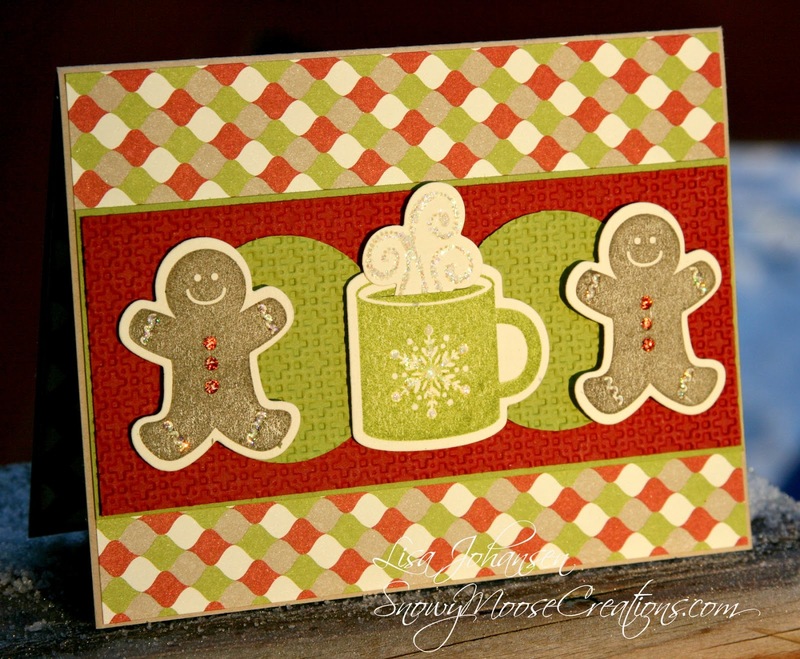 I love the gingerbread men and the steaming cup! 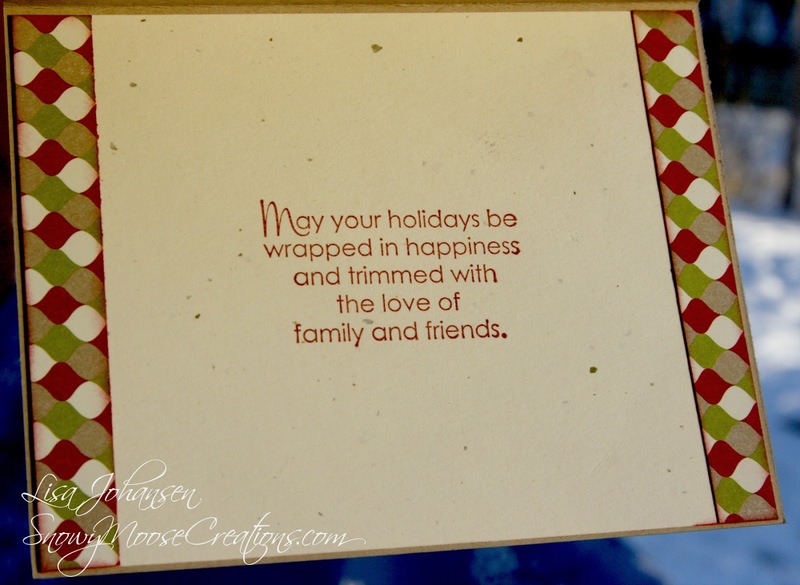 I think there'll be challenges that will adapt very well to Christmas cards in December. Maybe we can get a start on next year's cards! Cute cute cute ... love what you did with the sketch ... so glad you joined our holiday feast at jingle belles. I want this set too! Those gingerbread men look yummy(sorry fellas) and the papers go so well with your food theme. Thanks for joining us at Merry Monday! This is so cute Lisa, I love those little gingerbread men. 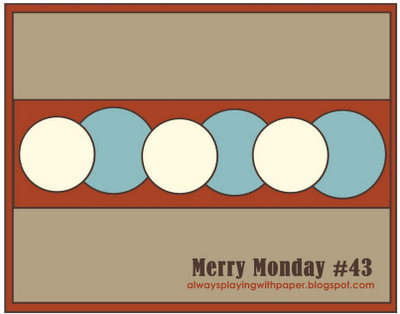 Thank you for playing along with Merry Monday this week. Cute card Lisa. I like how you finished the inside of the card. Thanks for joining us at Merry Monday. Lisa, I love your take on the sketch! Love the gingerbread men and the glitter on the hot chocolate. The glitter adds such a festive feel. Gosh now I am need to go and make myself a cup of hot chocolate! Great card, your images are perfect for the sketch! Thanks for playing with us at Merry Monday! Love your cute card, Lisa! Especially love the texture and glitter! So festive and fun!